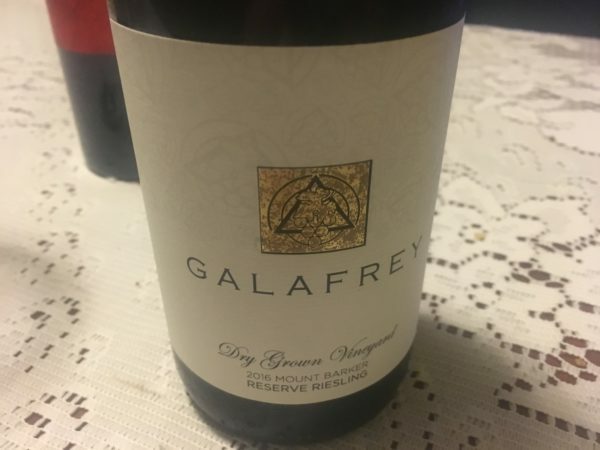 The appeal of the Galafrey wines is always about their concentration. The benefits of dry-grown grapegrowing writ large. This, fittingly, is tight and dense – you can feel the intensity of the flavour at every angle. There’s some of the classic, cooked lime and jasmine of Great Southern Riesling, and backed by a surprisingly ripe palate (given the low alcohol). Strictly speaking this is just a bit linear and firm for immediate enjoyment, but the length and coiled power all point to a more than healthy future ahead. And just $25/bottle? Superb value. Best drinking: 2017-2027+. 17.7/20, 92/100+. 12%, $25. Would I buy it? I’d knock off most of a bottle no sweat. Is Riesling our most under-priced variety? I hope so. I love the fact that I can buy a Riesling of sublime quality for under $20. Under-priced? Definitely. Given the quality & diversity of Rieslings out of Vic, SA & WA, we are lucky people indeed. I think the challenge for Riesling is what happens to it next. Some of the blends (with oaks, lees, work, etc) are interesting. fyi- supa excited that this Riesling Just won GOLD at the recent International Riesling Challenge.